Sometimes as homeowners you may notice a crack in the siding of your home and think it’s not a problem and that you can deal with it later. However, letting a problem linger can lead to all sorts of other problems even for a small crack and deciding. Having a siding contractor in Downriver Michigan come out to repair the siding quickly is crucial to protecting your home. 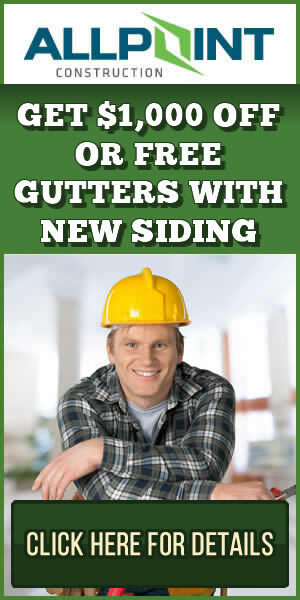 We’ll go over three reasons why you should always get the siding on your home repaired if you ever notice a problem. Storms can damage the siding on your home and it’s one of the biggest causes of damage to siding. This damage can come from wind, hail, or ice striking the siding causing small bits of damage to more substantial damage such as trees falling into the side of the home. And while storm damage is one of the more common reasons why siding can be damaged it’s not the only one. Having a barbecue grill too close to the siding can melt vinyl siding as well. Not only that a baseball miscue can also least two damaged siding. No matter why you’re siding was damaged or the extent of the damage it’s always best to get it repaired as quickly as possible to prevent further damage from your home. We’ll go over the top three reasons why you should always get siding repairs done as quickly as possible. The siding on your home is meant to keep the water outside. When there is a problem on the siding and water is allowed to get behind the siding many times the backing installed protects the home. However, this is it always the case and sometimes the backing or underlayment is also damaged. Water seeps through to the insulation, electrical boxes, and even the drywall on the home. And if the siding is significantly damaged and loads of water are allowed to come in a can also create problems and water damage in areas like the basement or flooring of your home as well. When water damage is allowed to remain in place and it’s not repaired and allowed to dry out it can lead to other problems including mold growth in your home. Damaged siding that allows water behind it that can stay there during the warmer months can promote mold grow on your exterior walls which can be problems and expensive to have removed. The roof, windows , and siding of your home gives your home a protective shell which keeps the elements out and the comfortable air inside. When there is a problem in any of these areas it can cause a home to be less efficient. With the case of damaged siding your home made have cracks that allow air to move in and out of the home exposing the interior to exterior air. This means your HVAC system will need to work harder to keep the interior of your home will comfortable which will drive up energy costs. Plus if the damage to your siding allows water into the installation of the exterior wall it can cause the insulation to fall which basically means you are exterior walls may not even be insulated at all in some areas we certainly decrease energy efficiency. While siding repair may be expensive, it is certainly less expensive and in most cases less expensive than a complete siding project. If you allow your damaged siding to remain in place you can actually make your home more susceptible to damage. For example a piece of siding that has pulled away from the home is more susceptible to wind damage and if when damage is that piece of siding it could certainly damage other pieces of siding that are attached. Repairing the single piece of siding can eliminate the problem before such damage can take place which will save you money. 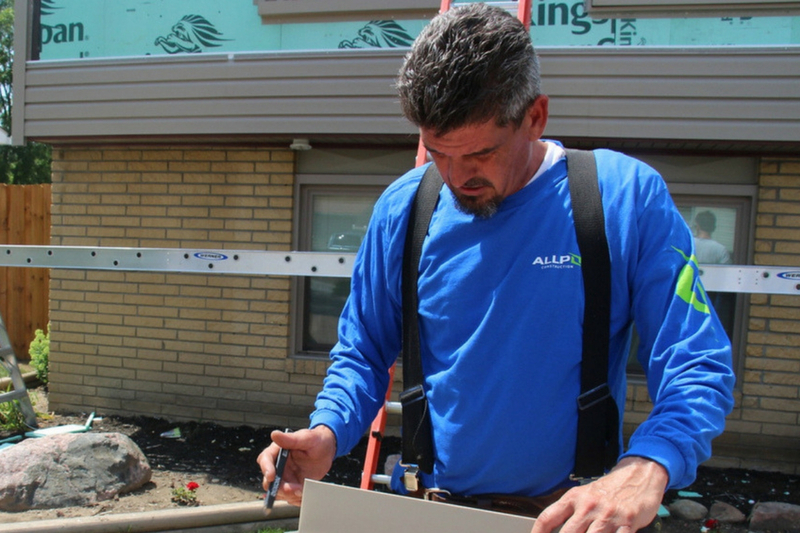 All Point Construction is a full service home improvement contractor in Downriver Michigan and they can repair your siding quickly and professionally. Call them today at 734-407-7110 for a free estimate in Downriver Michigan.